The End Festival Presents: The End, of What? The End Festival makes a welcome return in 2019, this time with a slightly different format. On the 29th of March, The End, of What? will celebrate the collaboration between some of the finest versatile artists and nationalities in the EU. This will take place at London’s award winning folk venue Cecil Sharp House, who has previously hosted a substantial number of renowned events. 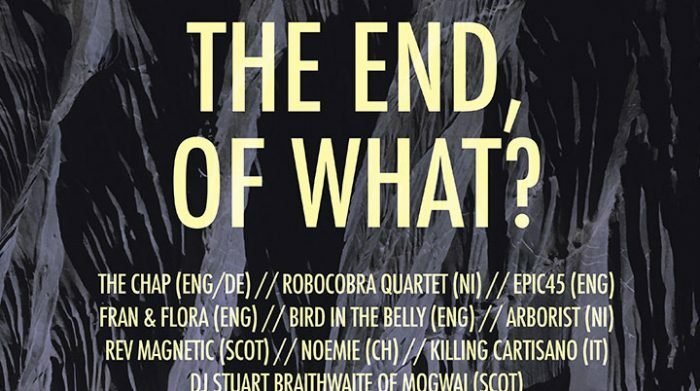 Confirmed acts are The Chap (ENG/DE) Robocobra Quartet (NI), Epic45 (ENG) Bird in the Belly (ENG), Arborist (NI), Rev Magnetic (SCOT), Fran & Flora (ENG), Noémie Ducimetière (CH), Killing Cartisano (IT), and Stuart Braithwaite of Mogwai (SCOT) will DJ. 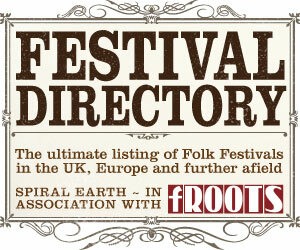 The End Festival has been running since 2009 in different variations. The most recent one in 2017 was the biggest one yet, running across 9 days in 9 different venues across London. This time, there is a certain message behind the event. The End Festival has for many years been successfully showcasing the best underground talent on the scene combining a mixture of genres and independent acts to provide a memorable intimate experience to its fans. The End, of What? will be on the 29th of March 2019 at Cecil Sharp House, Camden.